#2 on AirPlayDirect Global Radio Charts! 58 Weeks on AMA Chart!! #53 on AMA Top 100! KCCT, KDNK, WQBR, WLVR, WRRW, WCNI, OceanBeachRadio, Stingray Music, KBSO, WildmanSteveRadio, GotRadio, WHAY, WETS, RadioFreeAmericana, WIKX & WFDU!! 40 Weeks on AMA Chart! #1 on AirPlayDirect Global Radio Charts! DownTown Mystic Tops APD Chart for June!! Airplay on over 5000 Stations Worldwide! On The Charts: AMA, RMR Roots Rock & Roots 66 Airplay Charts! Starting in March of 2016, the DownTown Nashville and Rock’n’Roll Romantic releases have combined to spend 87 consecutive weeks on the AMA charts. 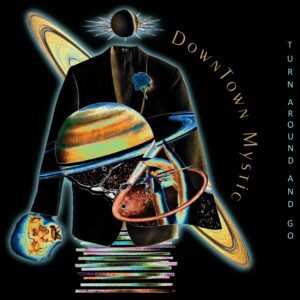 Special thanks to the Program & Music Directors for adding DownTown Mystic to the playlists of KCCT, KDNK, WQBR, WRRW, WFIV, WHAY, WLVR, WFDU, WIKX, WETS, WCNI, WAGS, OceanBeachRadio, StingrayMusic, FarmFreshRadio, WildmanSteveRadio & RadioFreeAmericana! Mike Penard “The DJ” / “American Roots Music” on RadioISA. Big Congrats To Jonathan L — International Radio Personality of The Year!